An individualized program will be designed to meet your specific needs and goals. 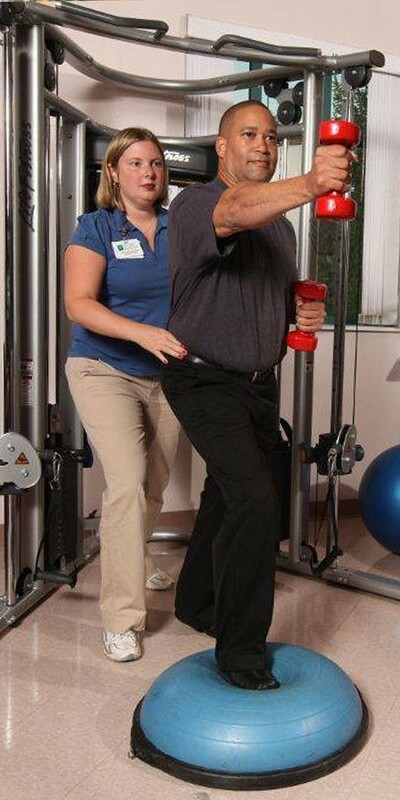 Skilled physical therapy staff will focus on relieving pain, restoring range of motion and joint function, helping you regain function, improving gait, or improving overall mobility and balance. Physical therapists at St. Lawrence’s spacious Outpatient Therapy Department address both orthopedic and neurologic conditions. These include back and neck pain, joint replacements, as well as post-op spine, shoulder and knee surgeries. Also included are mobility issues due to a stroke, brain injury, Parkinson’s Disease, or Multiple Sclerosis.